At Mannor Law Group we are dedicated to providing high quality legal services for Michigan Seniors, including Estate Planning, Medicaid Planning, Nursing Home & Long-Term Care Planning, Veteran's Benefits Planning, Wills & Trusts, Probate, Probate Avoidance, and Asset Preservation and Protection. We believe the best way to introduce people to elder law and Long Term Care Planning is to provide an opportunity for them to talk directly with our team. This allows them to discuss their situation and also to ask questions. 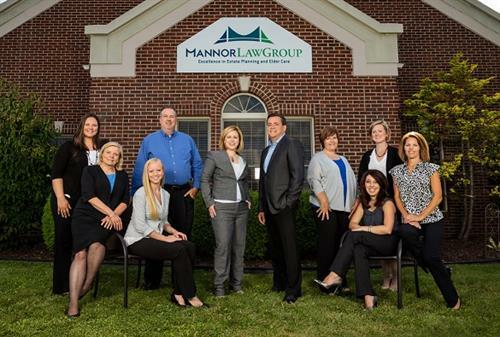 Mannor Law Group can then explain their options and how specifically our law office may benefit them. You can be assured you will learn your options and have your questions answered. What's unique about our firm is our education process, which helps you eliminate worry and determine the best approach to protect your family. We have a variety of free educational workshops designed to teach fundamental estate planning concepts. You can find out more about our workshops and the services we provide by visiting our website or giving us a call. We are located on Livernois Road just south of Walton.